Last week, we regaled you with tales of the first ever “Kale Yeah” kale eating competition, billed as “The World’s Healthiest Eating Championship” – and somewhat purposefully scheduled the weekend after probably the world’s most famous eating championship, the Nathan’s Hot Dog Eating Contest. 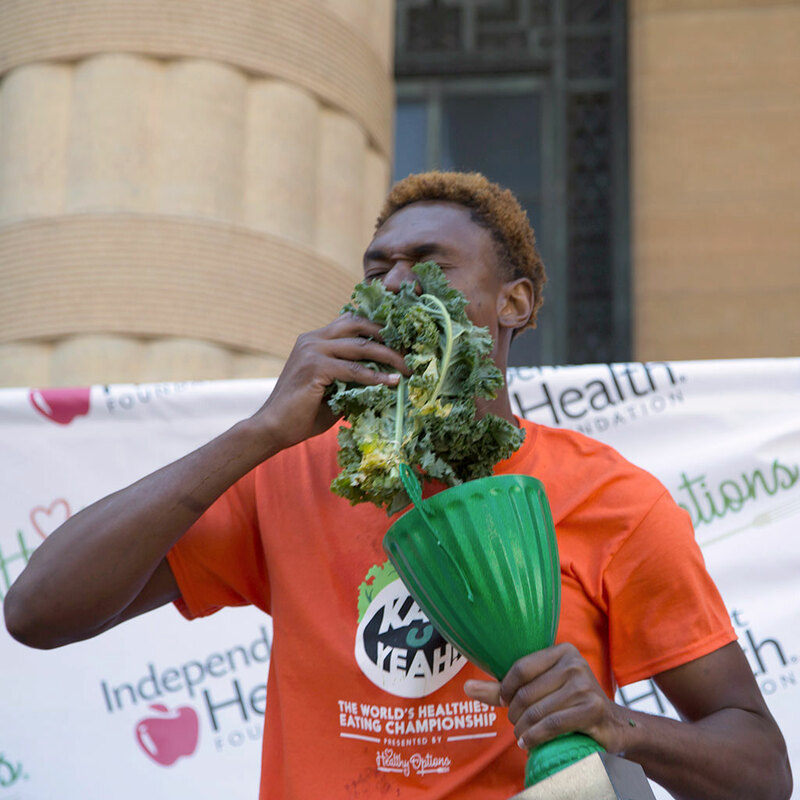 This kale eating contest was put on by the Independent Health Foundation's Healthy Options program, that helps restaurants and food trucks around New York offer helathy menu items. As Monday rolled around, I’m sure many of you were looking for the results of the event that took place at the Taste of Buffalo food festival (of all places), and we don’t want to disappoint. The winner: Gideon “The Truth” Oji, the world’s #10 ranked eater, according to Major League Eating, who gobbled down 25-and-a-half cups of kale in eight minutes. Not only did it establish a new kale-eating world record – incidentally because it was the first ever sanctioned kale eating competition – but Oji also walked with the cash grand prize of $2,000. Granted it’s small potatoes to, say, the £2 million Serena Williams took home for winning Wimbledon on that same day, but still, not bad for eight minutes work. “I'm a health and fitness professional, and I've been on the road eating chicken, hot dogs, and all-American foods,” Oji said after his victory. “So winning the kale championship was personal for me. I believe in eating well and being healthy.” This dude deserves some sort of trophy for ironic statements as well. Apparently, kale isn’t particularly filling either. “I’m still hungry, I’m going to go eat some real food,” Oji said as things were wrapping up. Someone find him 70 hot dogs!